Welcome to the month of February! Congratulations, you survived the start of the New Year! 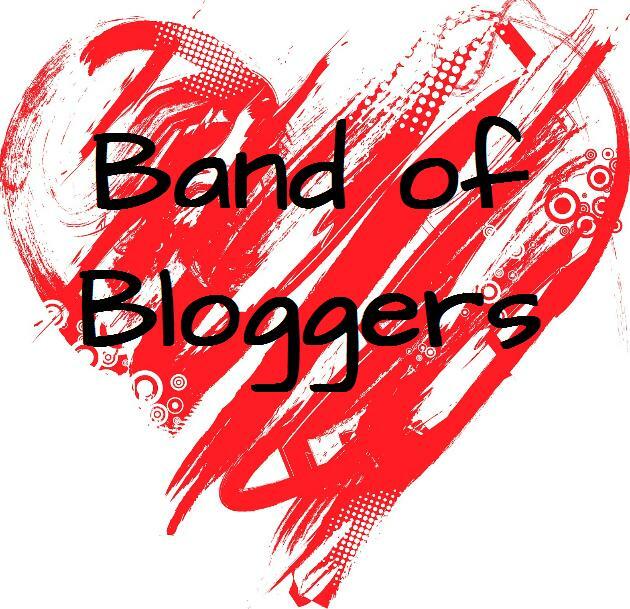 If this is your first month joining us, Band of Bloggers is a revamped version of the Order of the Odor, where we do a monthly chat about all matters of waxy things and life. We hope you join us in the conversations! This month's question is: Now that we have settled into the new year of 2016, we wanted to find out what are your goals for this year (life, blog, work, travel etc)? Wow! Goals. I love goals, lists, to-dos, to save for, to create, to blog, and wishes to aspire to one day. I do have my 2016 100 Things Bucket List posted to give you a good idea, but I do have life and blog goals too. Travel: We will be going to Cleveland, OH this summer to hang with family and sight see. I would like to meet up with my bloggy friends too at some point. Work: Not much to change on that front. My position is not one that has promotions or even raises. It is a semi-temporary position that I plan on being in for the next 3-4 years. So the big goal there is for me to have extra grace in tough situations. I do love being in a middle school environment. I hope to maintain/grow some freelance writing. Life: I do need to get my health in better order. I am doing some testing for a possible issue but I know it will all come out great in the end. I do think being active and making healthier food choices will help as well. I also want to achieve a few savings/budgeting/purchasing goals this year. Some things I am saving for: couches, future travel, a surprise for Adam, and a perfume set I have been wanting for years but missed out on- it came back. I also have spiritual goals. And reading goals. And flossing goals. Creating: I want to finish my unfinished quilts. Paint the girls each a new painting. Paint one for the home. Is there anything you would like to see more of or that is new for my blog? What are your goals this year? Please share! If you find you're struggling for post ideas some days, how about a What I'm Watching or What I'm Reading type thing? Thank you Deb! That is a great idea! I have been dying to chat about some of the books I have read and shows I am hooked on but don't really have an idea of how to present it, but I like that. Yes we can both cheer each other on on the job front and writing. You DO need to get that pen scratching. I want to read it! I'm excited for our 2016 and hope that it will bring us together in person. What perfume set were you referring to? Thank you Sunnee. Sending you peaceful thoughts too. Last test is on Friday. I really do hope we can meet too. I am just dying to give you a big old hug. The Malle coffret, he offered one back in 2012 and I was just not ready to splurge like that on unknown fragrance back then but now I am dying to get the 2015 one. The big one. Of course. It is about $100 cheaper on the Frence site so I am going to buy it there when I get a chance. One day. I hope the health testing turns out to be nothing. Send you lots of positive energy! Gosh, the 100 things to do in 2016 is an intense list, I hope you will blog them as you cross it off the list! I love the combination of big and small to-dos on that list. Thank you Michelle! I hope they will too. I love your goals too! Very inspiring! I would love to hear about what you're reading or watching! I don't watch a lot of the same shows you and Deb do, but I love to hear about what people enjoy in their life! It just makes me all warm and fuzzy to see the passion someone has for something and get a little insight into how their mind ticks and processes the same things I look at. I hope you got some good news on the health tests. Flossing goals, lol! I'm right there with you! I enjoy reading whatever you choose to post about. Especially anything cooking/baking related. I need to cook more! We've fallen into the habit of more microwaved meals than home cooked. Oops. Ok! I will start chatting about them! I love bookish talk. Flossing is not something unnaturally remember to do but it helps so much. My gums have really improved in just 3 weeks. Cooking!!! I want to blog more food for sure!! I hope you got good news on your health tests. I need to do better in that area as well, mostly need to eat better and lose some weight. I definitely would be interested in what you're reading and/or watching! I hope you cross off everything on your list this year! !